Your afternoon chocolate bar may be fuelling climate change, destroying protected forests and threatening elephants, chimpanzees and hippos in West Africa, research suggests. Well-known brands, such as Mars and Nestle, are buying through global traders cocoa that is grown illegally in dwindling national parks and reserves in Ivory Coast and Ghana, environmental group Mighty Earth said. 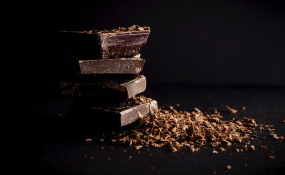 "Every consumer of chocolate is a part of either the problem or the solution," Etelle Higonnet, campaign director at Mighty Earth, told the Thomson Reuters Foundation. "You can choose to buy ethical chocolate. Or you're voting with your dollar for deforestation." Nestle did not immediately respond to requests for comment while Mars said in an email: "We take a responsible approach to sourcing cocoa and have committed to source 100 percent certified sustainable cocoa by 2020." Almost one-third of 23 protected natural areas in Ivory Coast that researchers visited in 2015 had been almost entirely converted to illegal cocoa plantations, the report said. Ivory Coast, Francophone West Africa's biggest economy, is the world's top cocoa grower. Loss of natural forests is problematic because they act as a home for the region's wildlife, and a key weapon against climate change, absorbing carbon dioxide - a major driver of climate change - as they grow. Available land for new cocoa plantations in Ivory Coast ran out long ago, so farmers have moved into parks and reserves, taking advantage of a decade of political crisis that ended in 2011. Ivory Coast's now has about 2.5 million hectares (6 million acres) of natural forest, a fifth of what it had at independence in 1960, according to European Union figures. Most of the losses have been due to expanding agriculture. Details of the Cocoa and Forests Initiative, which is initially focusing on Ivory Coast and Ghana, will be announced by November's global climate talks in Bonn.